The 1000ft James R Barker departed Duluth and the Lee A Tregurtha arrived at 13:00 Tuesday in below zero temperatures. The Ashtabula/tug Defiance departed at 7AM Monday in below zero temperatures. The 1000 ft Indiana Harbor arrived at 10AM this morning with a heavy coating of ice. sorry about the issue, it was our fault, we were adding a few more servers to your region (as a follow up to a yesterday's attack on our servers) and a configuration problem caused some of the cameras to become offline. We have only discovered it after the first ticket arrived. Please accept our apologies for this, all cameras should be online now, but if you are still having some issues, please let me know. 10:30 - Update -- All cameras restored -- problem with streaming service has been resolved. I apologize for the interruption. 06:00 - There appears to be a problem with the internet streaming service based out of Europe-- I am checking into it! This is the last night for Bentleyville 2014. At 6:30PM CST there will be a closing fireworks display that you should be able to watch on the "Harborcam" Camera Page. Buffalo arrived at 7AM this morning for a load of coal. To all my Harborcam Friends -- Wishing your the very Merriest of Christmas's and a Happy New Year! Hon James L Oberstar departed at 10:50 Tuesday. Lee A Tregurtha arrived at 13:20 Monday. The 1000ft American Century arrived at 8:15 Saturday for another load of coal. The Antiqua flagged Palmerton departed Duluth at 12:15 this morning after dropping off a load of structural steel. The last ocean vessel of the 2014 shipping season will race to beat the closing of the Welland Canal on December 26th. 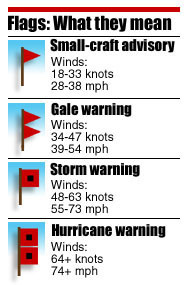 Daylight hours start getting longer tomorrow and Spring is just a few short months away. Enjoy winter while it lasts. --Unusual for a ship to sound its horn at midnight, but, I guess this is a special occasion! The Antiqua flagged Bluebill arrived Duluth Wednesday evening to load grain. Mesabi Miner arrived Duluth Wednesday afternoon. Hon James L Oberstar Duluth Tuesday morning for more iron ore pellets. While your waiting for the next boat, take this Aerial Bridge Quiz to see if you may be bridge operator material or at least be able to answer your friends questions about this famous Duluth landmark. The 463 ft Antigua flagged Palmerton arrived Duluth this afternoon with a load of structural steel. With the winter fog blocking the camera views for a few days, it might be nice to reflect back to August when the sailboats were in full swing. Hope you enjoy this year Bentleyville "Tour of Lights" either by visiting or through this video. Wednesday 07:30AM -- Looks like the Visitor Center cameras are down. Investigating! I added the snow - just wishful thinking I guess! Juno arrived Duluth at noon on Monday. The lights at the Bentleyville "Tour of Lights 2014" are a phenomenal scene to behold, but, this view is one you might miss when you visit. 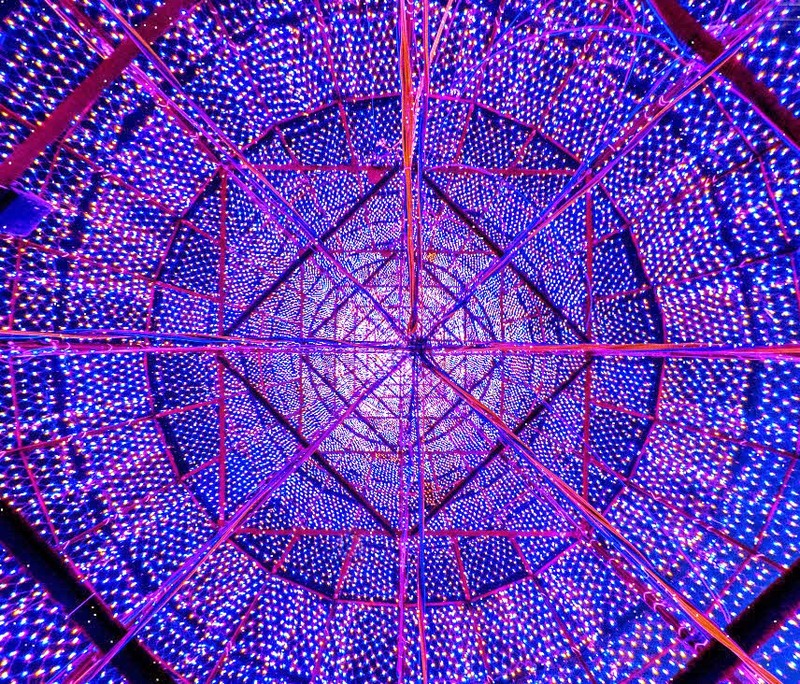 Here is the view looking straight up inside the towering 128ft high Christmas tree, covered with more then 100,000 LED lights. The full moon made slipped through the Lake Superior Horizon to set it's glow on the ocean freighter Mamry as the big ship waited at anchor off the Duluth Piers. Philip R. Clarke arrived at 12:40 Saturday to unload limestone. The full moon should present a stunning display over the harbor this evening as it rises to the east and tracks across the sky. I'll be down taking a few pictures here and there. What can I say but thanks. Three days ago I let this community of duluthharborcam viewers the need to upgrade the Harborcam camera due to age and lack of streaming ability. Over the next three days we raised the $1270 needed. Just stunning and humbling. Over the past several years, I realized that these cameras have become windows to the Duluth waterfront for more then just myself. I get great satisfaction out of helping provide a way to view the waterfront "live" via internet, that has only been possible to do in the past several years. When I see comments, or get emails from viewers who will never be able to stand in Canal Park or the Duluth hillside and watch boats, weather, people and wildlife, then I understand that these cameras have become something very important to others, not just myself. Providing this service to others has become more rewarding than I ever could have imagined. I am a native Duluthian and as a photographer I photograph harbor and lakeshore scenes often, especially Canal Park. When asked why I keep returning and photographing the same location time and time again, my only reply is that it's different each time, GOD mixes a different element of each day. I'm sure many of duluthharborcam viewers feel the same way, I don't know if this is an addictions, but if it is, I'm hooked. Hooked on the views, but, most of all hooked on knowing that together, we can make a better day for hundreds of people at a time, as they enjoy the sights and sounds of one of the most beautiful locations on the planet. I will continue to save the coffee fund money for the next project. Only a couple nights a year can you see the full moon rise from behind Split Rock Lighthouse. This afternoon I ventured up the shore to watch this amazing event with a couple other fellow photographers. Like clockwork, the moon rose from behind the cliff to display itself above the lighthouse like a big orange ball. Split Rock is a true gem of Lake Superior and one I never get tired of photographing. The 1000 foot Paul R Tregurtha arrived Friday morning for another load of coal. Cason J Callaway arrived Duluth at 10:30 Friday morning to unload limestone and pick up taconite. Mesabi Miner departed Duluth Thursday afternoon. Well, the streaming idea for the Harborcam didn't work out too well. The camera is an older model and not really equipped to stream. I have switched it back to snapshot mode and hope to replace the camera soon. The John G Munson arrived Duluth at 10:30 Wednesday morning. The Cyprus flagged Iryda arrived Duluth at 7:00 Wednesday. The bulk freighter Kom departed Duluth on a pleasant December evening. Summary of changes to camera configurations. The Bridgecam has been upgraded to live streaming and is now showing Bentleyville. This camera will remain in place with this view Bayfront Park. The Harborcam is now upgraded to live streaming, however, it is an older camera and will be replaced when I save up the $2000 it cost to change it out. So, all six cameras are now streaming live! I have wanted this for a long time hope to keep them all running through the winter. Please let me know if and when you see errors or have other request, these cameras are as much yours as they are mine, and I consider myself the maintenance guy for duluthharborcam.com and hope to provide the best view of the best place on earth.